03. Surface finish: annealing, pickling and bright annealing as required. 04. 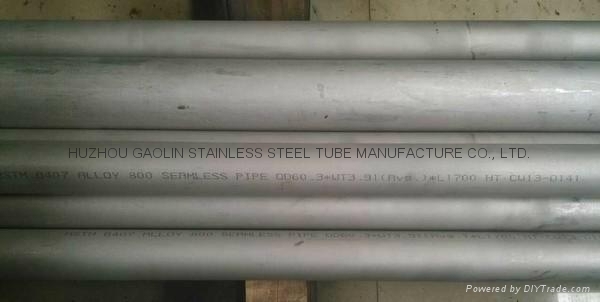 Material: UNS N08800/Alloy 800, N08810/Alloy 800H, N08811/Alloy 800HT with corresponding GB, ANSI, EN, JIS, BS & ISO material designations. a) O.D. : 1/2" to 2". b) W.T. : 10 BWG, 12BWG, 14BWG, 16BWG, 18BWG, 20BWG, 22BWG. 07. Length: Max. 15 meters. 08. 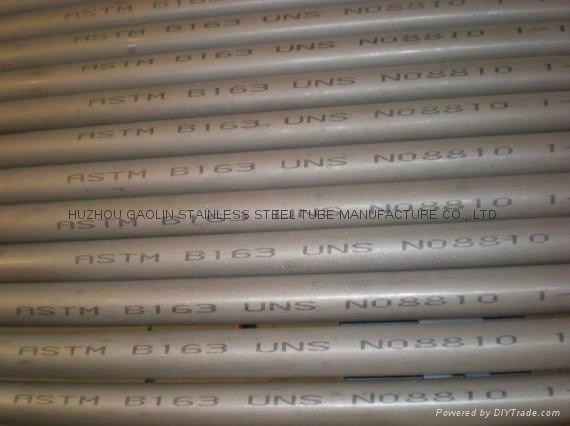 Applications: for condenser and heat-exchanger service.